One of the items that was mentioned in Apple’s keynote this week, BESIDES the iPhone 5 (have you ordered it yet? No?!? 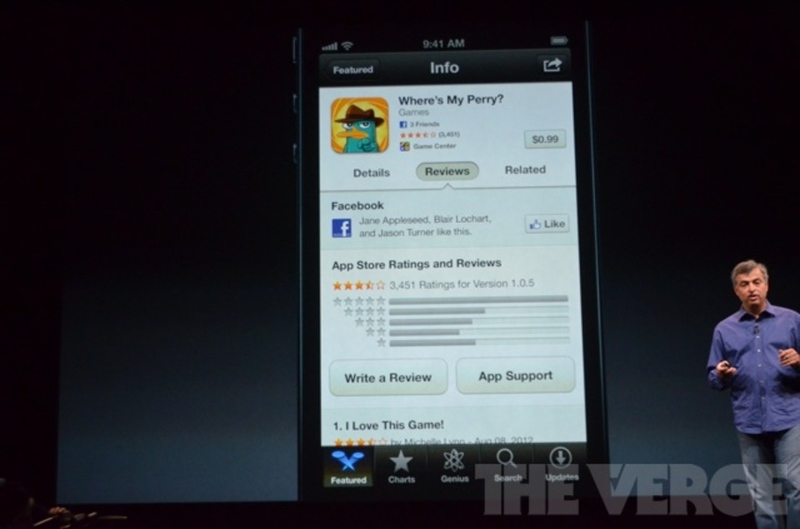 Go ahead, we’ll wait…) was a new revamped iTunes and App Store in iOS 6. And right in the middle of that demonstration was the integration of Facebook’s Open Graph, heralding the appearance of that ubiquitous “Like” button on your favorite websites. 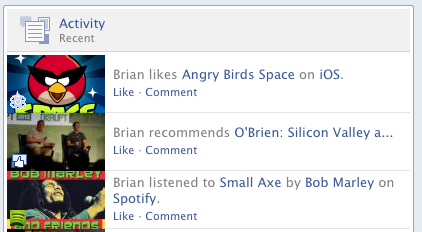 Now, not only can you Like an app on its product page (we’re focusing on apps, but this is true for music, movies, and anything else in the iTunes Store), but you can also see which of your Facebook friends have also Liked it. What does this mean, and how will it affect app discovery and app marketing strategies going forward? I think that it will have a few consequences for app consumers, developers, and marketers, which I’d like to share below. 1. Word-of-Mouth Marketing has finally made its way into the App Store itself. Since the beginning of the App Store, friends telling friends about apps has always been one of the most powerful ways of app discovery. The amusement of sharing iFart with your buddies at the pub was the reason that it rocketed to the top of the App charts, much to the embarrassment and chagrin of Apple, journalists, and pretty much everyone but the developer of iFart. I think we can all agree that consumers want to hear opinions of products before they buy/download/consume them, and that they trust their friends more than journalists, and MUCH more than advertising. Until now, however, there was no systematic way to bring one’s social circle to bear when actually browsing and checking out apps. 2. Sh*t just got real. With actual names of friends recommending an app, the veil of anonymity that has existed with an app’s star ratings and iTunes reviews has been lifted. It looks like the old system of star rating and user reviews will still be there, but now there is an additional layer of feedback about an app that is coming from a trusted source. This lessens the importance of the old ways of feedback, which were without a doubt being manipulated through astro-turfing (the practice of reviewing your own product, or paying others to write fake reviews/ratings). This can only be a good thing for the consumer, and I’m interested to see if people will start to gradually pay less attention to the ratings/reviews of old. Not only does this affect the importance of ratings and reviews, but it also has the potential to diminish the importance of the Top Charts, which until now have been a primary marketing channel unto themselves. 3. App Marketing benefits from being more targeted “locally”. This brings me to my final point, which I’m most interested in as a marketer: There is now a sizable advantage to trying to reach multiple people in the same (Facebook) social circles, and encourage people to Like your app within the App Store. We’ve already seen the massive virality that can result when an app has integrated Open Graph and uses it to share users’ activities in an app. (Ex: SocialCam, Spotify). We’ll now be able to see how that virality can be applied directly to the app download process. Prior to iOS 6, having a fan base scattered randomly across people from different backgrounds, locations, and interests was just as good as having a fan base that is “clumped” around a connection or commonality, such as being alumni of a certain university. However, now with iOS 6, you can gain more benefit by targeting a clump of users (not necessarily just geographically), people who are interconnected in their own mini-networks. This is what I mean by “locally”. If I, as a consumer, am on the fence about purchasing/downloading an app, but I see that 20 of my Facebook friends have Liked the app, that means something. Bonus points if I particularly respect the individuals who are being named there. I think we should assume that these changes will happen within the apps very quickly; developers are too smart and observant to let an advantage like this pass them by. So assuming that an app will have all the necessary Facebook hooks in place, the outreach/PR/advertising strategy needs to focus on penetrating social circles and reappear enough times for the hooks to sink in. As a marketer, this means that promotions/giveaways that encourage Facebook participation become that much stronger. 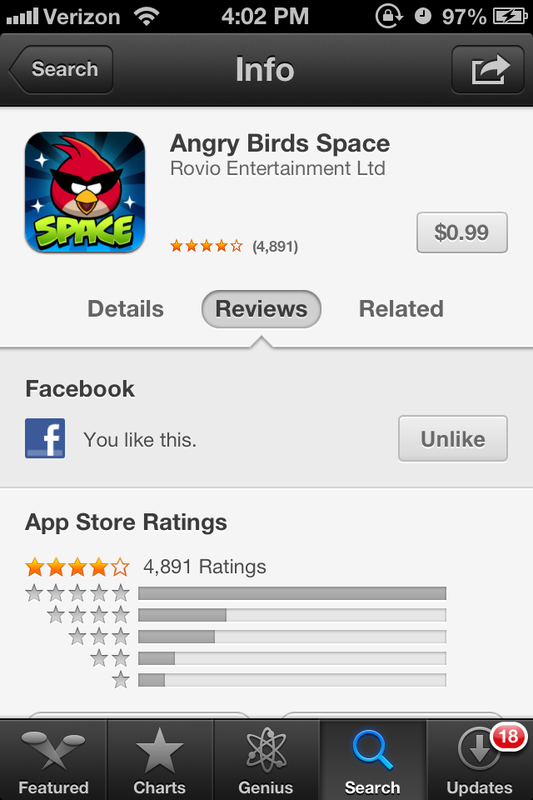 Facebook advertising that brings in Likes for an app suddenly has value and ROI. 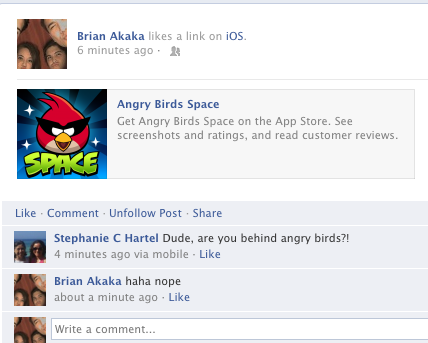 Targeting friends of a person who has Liked your app is incredibly valuable now. And reaching the app evangelists in a social group will suddenly have far more ripples than existed before. So where do we go from here? We will quickly see many tips and tricks to how to most effectively leverage the Open Graph integration. Those that figure it out first will reap the greatest rewards. (Again, see SocialCam, which sold for $70M).